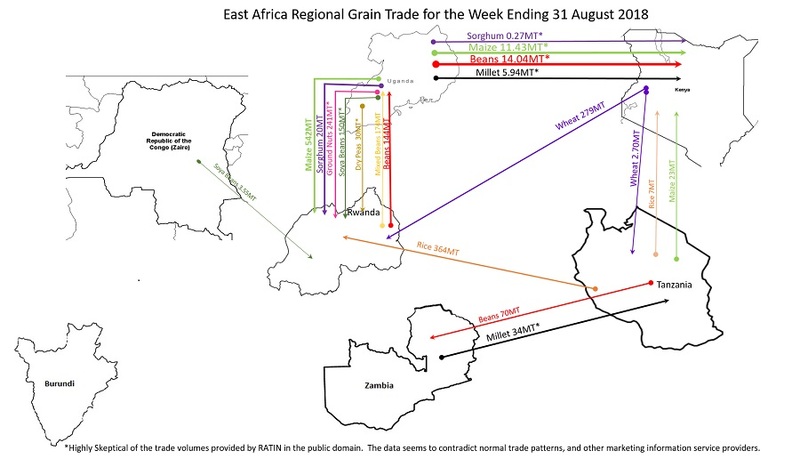 The recorded trade volumes for the week ending 31 August 2018, continued to indicate significantly low trade volumes according to EAGC’s RATIN. Eldoret, Kenya offered the best market prices for green grams at Ksh121($1.20)/kg in the entire region. This is a good potential market for Ukambani and Meru farmers who are looking for green grams markets. Unconfirmed reports within the Kenyan market was the Kenyan government had discouraged the importation of the Uganda maize by Kenyan millers with quarters or limitations that match certain procurement volumes of wheat from Kenyan farmers. Betta Grains continues to receive various request to buy and sell commodities. Below tables 2 and 3 list some of our clients request to find buyers and sellers. 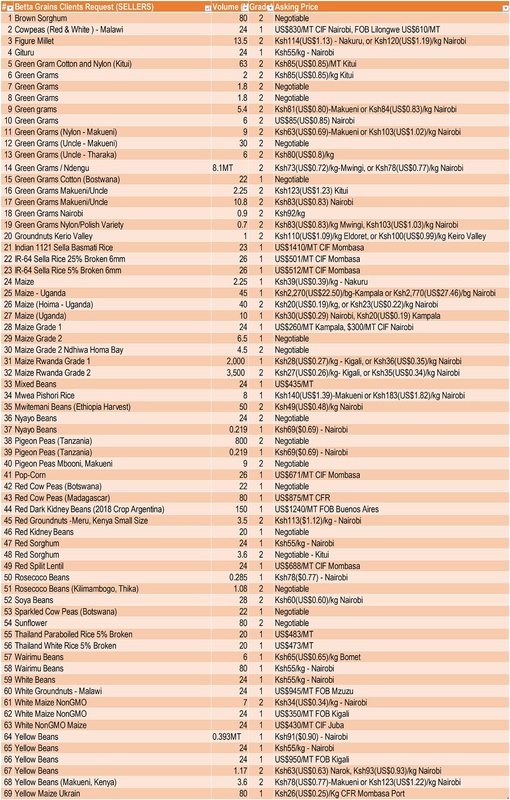 Kindly visit our eDuka page http://www.bettagrains.com/?page_id=1236 for a more up to date list. Acknowledgment: The data used for the analysis has been obtained from; IAM, Government of Kenya, Ministry of Agriculture, Livestock & Fisheries, Government of Tanzania, Ministry of Trade and Industry, EAGC, RATIN, Farm Gain Uganda, Knoema, FEWS NET, & Betta Grains.